I will often poll a room full of dieters by asking them how many of them have been on a diet that failed. Inevitably they all will say yes. I then ask if they lost weight on the diets and they again all say yes. I then ask if they gained the weight back after stopping the diet. You guessed it, an affirmative on that one too. I then point out to them that the diets do work, they just stop working when you stop doing them. 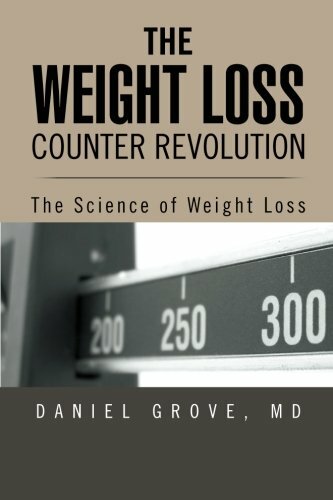 The reason people can’t stay on these diets is that they require behavioral changes that are so foreign and extreme that they cannot be maintained for long periods of time. Once the person goes off the diet, the diet stops working. So if someone asks me my opinion about a certain diet or eating plan my first question is – can you stay on this diet for the rest of your life? If the answer is no, then you might as well not waste your time or money. It is for that reason that I argue for a different approach to dieting. Instead of focusing on a specfic diet that requires extreme behavioral modifications, opt for a change in lifestyle that relies on keeping the same habits but making substitutions. The most important substitution you can make to be successful is to cut out the carbs. It is becoming a cliche but it really works. You can see some prior posts on the science behind why this is true by clicking here and here. I have a good friend who just lost almost an entire person’s worth of weight by cutting out flour and sugar. He told me that he had read my posts on the subject but didn’t believe it until he saw the results himself. Enough rambling. I picked this recipe because it is a great example of how you can make a subsitution that doesn’t completely alter your lifestyle or habits in a crazy way but gets rid of a major carb offender – pasta. This tasty dish uses zucchini noodles. Spaghetti squash is another great alternative. It also substitute turkey for beef for less fat and fewer calories while still being packed with protein. 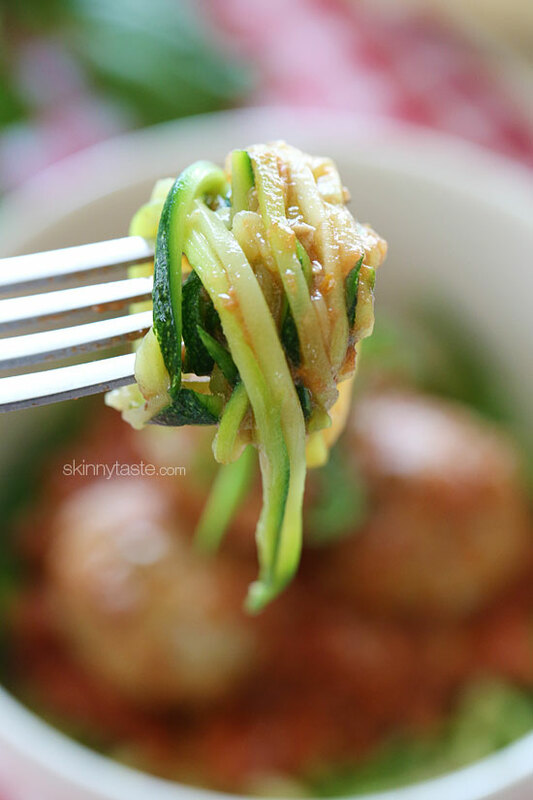 This recipe takes a slow cooker turkey meatball recipe and puts it on the zoodles so it comes as a two part recipes. The source is skinnytaste.com. Enjoy! It’s best to carefully form the meatballs with gentle hands, if you pack them tight they will get tough while cooking. If you prefer to bake them in the oven first, bake them for 15 minutes at 350°F. Then add to the crock pot for 2 – 3 hours on low. If you want more sauce, add another can of crushed tomatoes. The one step I wouldn’t skip is browning the garlic in oil first, this is a must for best results. In a large bowl, combine ground turkey, breadcrumbs, egg, parsley, garlic and cheese. Using clean hands, mix all the ingredients and form small meatballs, about 1/8th cup each. In a small saute pan, heat olive oil over medium heat. Add garlic and saute until golden, being careful not to burn. Pour crushed tomatoes into the crock pot with bay leaf. Add garlic and oil. 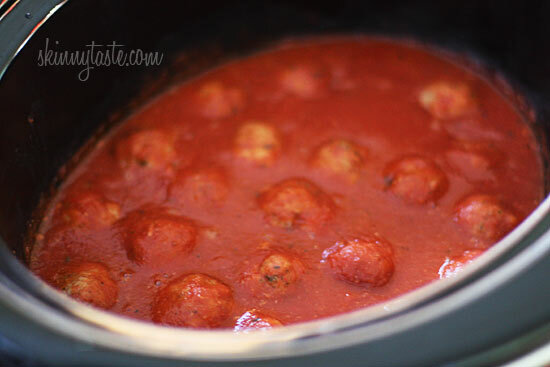 Drop meatballs into the sauce, cover and set crock pot to low, 4 to 6 hours. When meatballs are ready, adjust salt and pepper to taste and add fresh chopped basil or parsley. Makes about 24 meatballs, 2 tbsp each. So take 12 of those meatballs and freeze them for later and take the other 12 for this recipe. A good rule of thumb is one medium zucchini per person, since you lose some when you cut them and the shrink a bit when they cook. To cut them I used my OXO mandolin with my julienne blade and I stop right about when I get to the seeds, then I rotate and slice. A word of advice, please be careful when using a mandolin, the blades are VERY sharp. 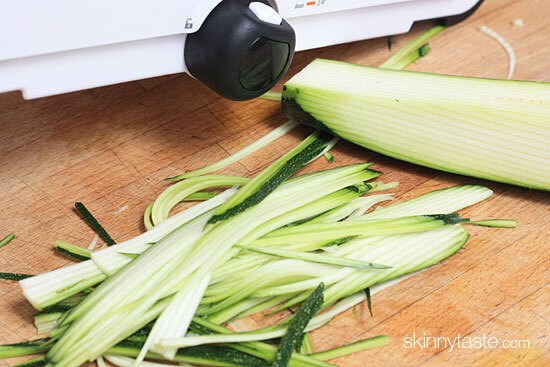 You can also use a spiralizer instead to make them more spaghetti-like. Use the meatballs from above. Heat a large nonstick skillet over medium heat. When hot add the oil, onions and garlic and cook until fragrant, about 1 to 2 minutes. Increase heat to medium-high and add the zucchini, season with salt and pepper to taste and cook about 1 minute. Give it a stir to mix everything around and cook another 1 to 1-1/2 minutes, or until the vegetables are cooked through yet firm. 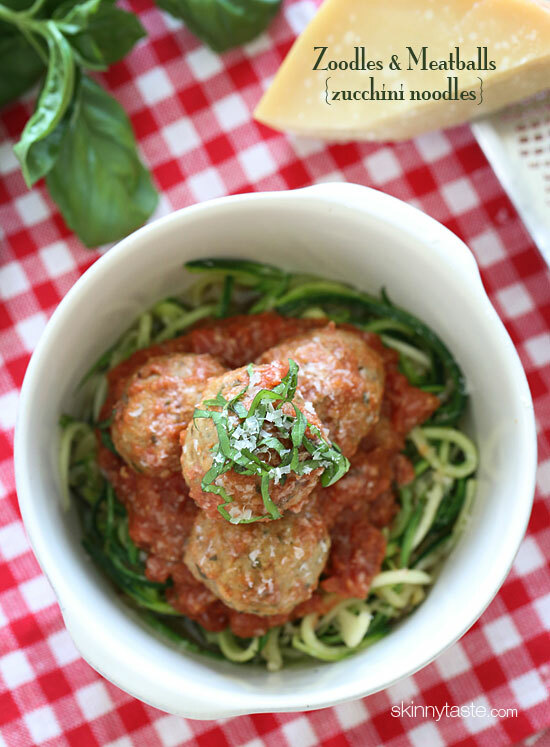 Divide the zucchini between 3 bowls and top with 4 meatballs and sauce, add some grated cheese and enjoy!